In the 1980s, Kevin Costner was the personification of the all-American movie star, making him the perfect choice to portray all-American hero Elliott Ness in Brian de Palma's The Untouchables. Today, Costner is oddly a figure of derision, his talent appreciated only by a minority of clued-in cinephiles. The general public has turned against Costner in favour of younger stars, making him the perfect choice to play Frank Hamer, the aging Texas Ranger who took down Bonnie and Clyde in a blaze of gunfire on May 23rd, 1943. Where Ness was a Protestant who took down Catholic gangster Al Capone, making him an instant hero to the anti-papist American public of the era, as a Catholic on the trail of Protestant hoodlums Bonnie Parker and Clyde Barrow, Hamer was viewed with the same disdain as Robert Ford, the Irish-American who ended the reign of terror of Protestant outlaw Jesse James. Like James, Bonnie and Clyde were idolised by the American public, who overlooked their violence to afford the duo a Robin Hood-esque status. Numerous ballads were penned and recorded, women adopted Bonnie's distinctive dress style, and in 1967 the pair were immortalised on screen by Faye Dunaway and Warren Beatty (flattering casting indeed) in Arthur Penn's Bonnie and Clyde, generally considered the movie that ushered in the era of New American Cinema and the age of the cinematic anti-hero. In Penn's film, Hamer is portrayed as a buffoon, with liberties taken to the extent of having Bonnie and Clyde capture and humiliate the lawman at one point. A revisionist take on the story from Hamer's perspective is long overdue, and I can't think of a better actor to portray the wrinkled Ranger than Costner. With Bonnie and Clyde evading the law thanks to their embracing of new technology like high speed automobiles and machine guns, it seems counter-productive to bring in an aging Texas Ranger to hunt down the pair, but that's the decision a desperate Texas Governor "Ma" Ferguson (Kathy Bates) takes. Hamer enlists the aid of his old partner, gunslinger Maney Gault (Woody Harrelson). In their days as Texas Rangers, both men employed unethical means to capture criminals, but while Hamer is stoic about his violent past, Gault is haunted by it. In one of the movie's best scenes, Gault relates a story of how he and Hamer ruthlessly slaughtered a gang of Mexican bandits as they slept in their bunks. Seated on the porch outside like Henry Fonda's Wyatt Earp, Hamer listens stoically, his face failing to betray any guilt over his actions. It's a beautiful piece of underplayed acting from Costner, reminiscent of John Wayne in his finest moments with John Ford and Howard Hawks. 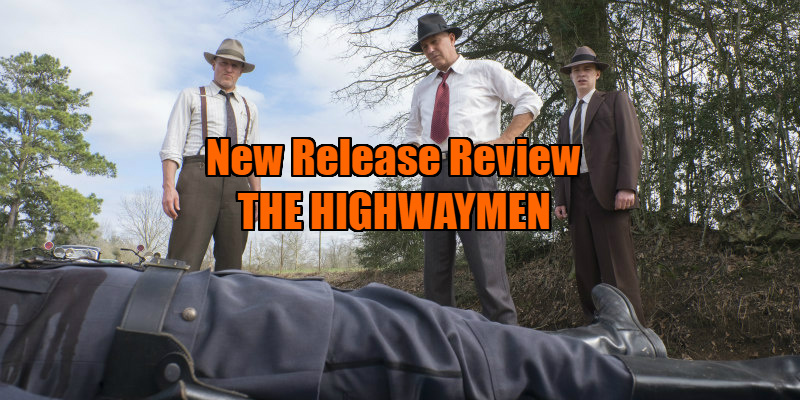 John Lee Hancock isn't exactly a cinematic director, so it's no surprise that the standout scenes of The Highwaymen are those in which Costner and Harrelson relate anecdotes. Intruding on the garage run by Clyde Barrow's father (William Sadler in another piece of perfect casting), Hamer tells the fugitive's old man the story of how he came to be a Texas Ranger after killing a man who, luckily for him, had a warrant on his head. We're reminded of the role Costner cast himself in his criminally under-appreciated western Open Range, but Hancock's staging of the scene is too detached to allow us to fully soak up Costner's lump in throat reading. When Hancock does try to pull off an action sequence, it doesn't quite work. There's a set-piece where Hamer and Gault give chase to Bonnie and Clyde, the latter forcing the lawmen to follow their vehicle onto a dusty field, losing them in a cloud of clay. When the dust settles, Hancock cuts to a wide shot of the field, showing the tracks left behind like a UFO's crop circle. It's a striking image, but it doesn't make any logical sense. If Bonnie and Clyde left tyre tracks, why couldn't the Rangers have simply followed them? In Hancock's journeyman hands, The Highwaymen lacks the energy and insight the story requires. 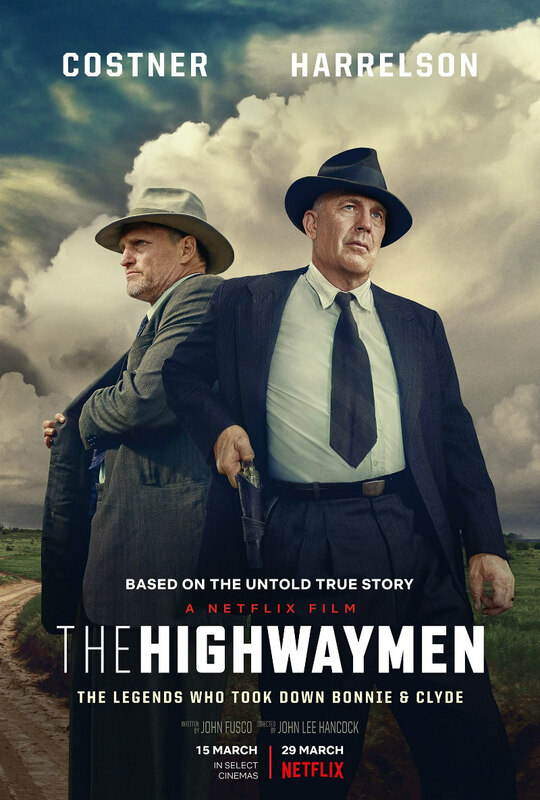 It relies too heavily on the broken down charisma of its leads, but it must be said, Costner and Harrelson are as good here as they've ever been. Ultimately, it's an intriguing Sunday afternoon watch that will have you wondering what a Peckinpah, Ford, Eastwood, or even Costner might have done with this scenario.